Christmas Gift Guide For Friends and Sisters + Giveaway! It's that time again where you start pulling your hair out trying to think of what presents to buy your friends and family. You end up scouring site after site and battling the crowds in shopping centres sometimes without having a real idea of what you're looking for. That may be because the people you need to get presents for are really difficult to buy for. I've had quite a bit of experience with buying for picky people, so throughout the year if I come across any present ideas suitable for someone I'll pop them in my note section ready for this time of year. I've got 5 gift guides for different categories of your friends and family coming to you this December: friends and sisters, grandmas and mother in laws, mums, men that are hard to buy for, and last minute stocking fillers. So if you're struggling with gift ideas for your family and friends, I hope these might help point you in the right direction this Christmas. Plus there's a little giveaway waiting at the end of this post for you! Friends and sisters are probably the easiest people to buy for in my opinion as you normally have a similar taste to them. When I shop for my friends it's almost like I'm shopping for myself unless I know there's something they really don't like. I find you can also be a bit more fun with this category than the others- glittery makeup, interesting smelling candles, and crazy slogans are something you can get away with when gifting for your pals. A no-brainer is makeup and beauty products, especially if they love a bit of glitter. I mean, if Christmas isn't the perfect time to get your glitz on then when is?! Do you know someone who goes all out with face paint and glitter at a festival? 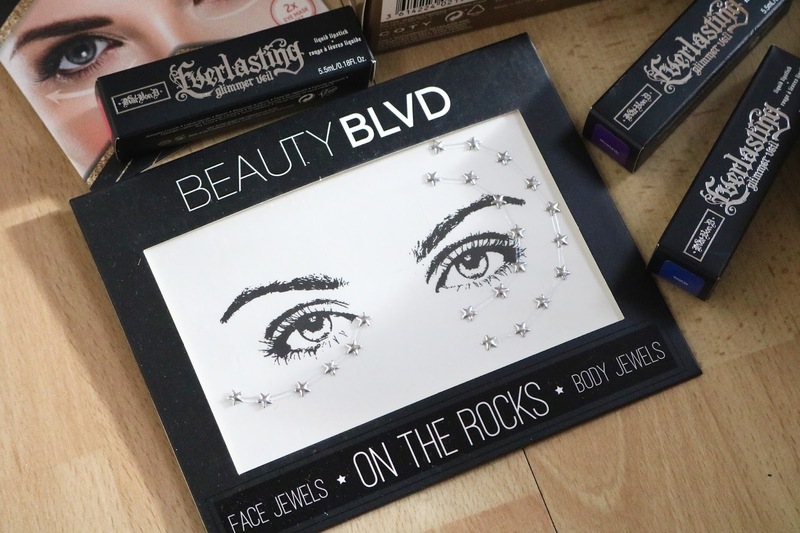 Beauty Blvd have some fantastic glitter sets and gems for those who love to go all out for Christmas and New Year and lip and eye masks for those who are tamer. The On The Rocks face gems are super easy to apply and you can either incorporate them into your makeup look or get experimental by using them on your body. They also have so many different styles from huge teardrop gems to little silver stars like in set #15. 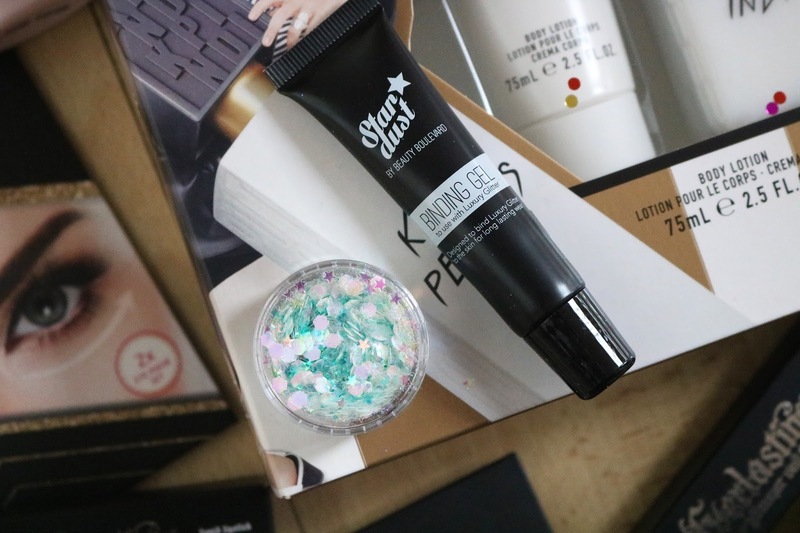 It can easily be paired with the Stardust glitter too- again they have loads of different styles and colours and also comes with gel and an applicator brush. The iridescent pieces have all the mermaid vibes, so I'll definitely be rebuying for festivals next year! If you're getting ready for a Christmas party or recovering from seeing in the new year, then the Divine Hydra-Gel Eye Mask will help battle those puffy under-eye bags. There are 2 sets of eye masks in the set so you really get your money's worth! As well as full-on glitter, brands add some sparkle to makeup products for the festive season. Kat Von D's Everlasting Glimmer Veil Liquid Lipsticks are the perfect little treat for those who love to be daring with colours. They are super pigmented and glittery and dry really quickly. You can also layer these over lipstick for a foiled finish. For a classic festive look, I'm loving Rocker (orangy red) and Thunderstruck (white gold), and for a more daring fun NYE look Televator (purple) and Shockful (hot pink) make such a great impact. If you know someone who loves their makeup, then how about getting them something to keep all of the products in? 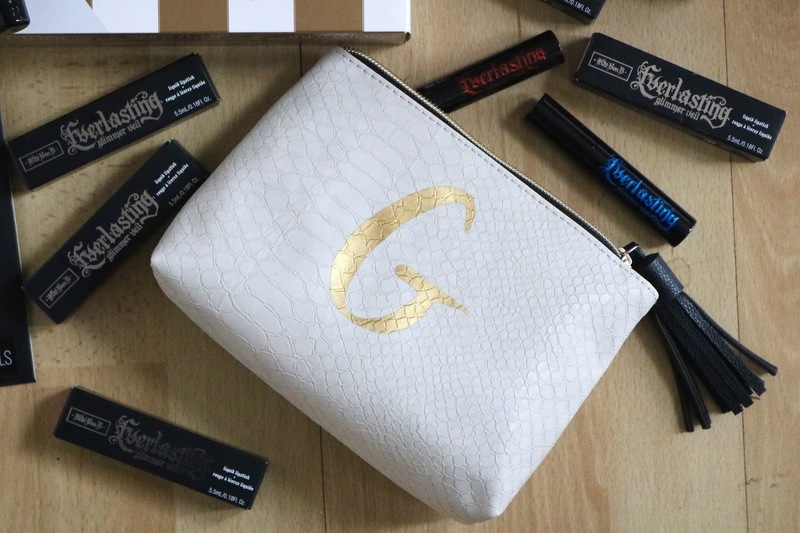 With personalised gifts still going strong, Next have brought out these initial makeup bags that are big enough to hold your everyday makeup (including palettes) without having to sacrifice on design. These look so luxe with the faux snake's skin and tassel zip and will be my travel makeup bag from now on. 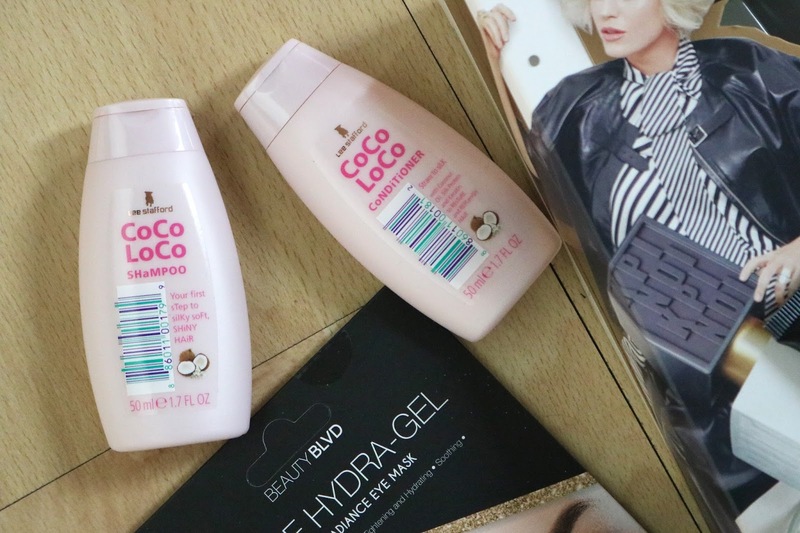 If you know what their fave haircare brand is, then mini's of these can make great little additional gifts! I love receiving mini's of products as I can use them for when I travel, and if it's a new product to me I can try before I buy. I'm a huge fan of Lee Stafford's Coco Loco range and love the fact they sell mini's as well as full-size products. The star ingredient is coconut oil and it helps leave the hair soft and nourished while adding natural shine. Team the shampoo and conditioner together to get super soft, beautifully smelling locks. For the person who loves trying out new colours and styles on their nails, why not get them some festive nails so they can go all out without spending hours trying to decorate their own nails with a super shaky hand! In my opinion, Elegant Touch are the champions of fake nails, and they've brought out two limited edition Christmas nails. 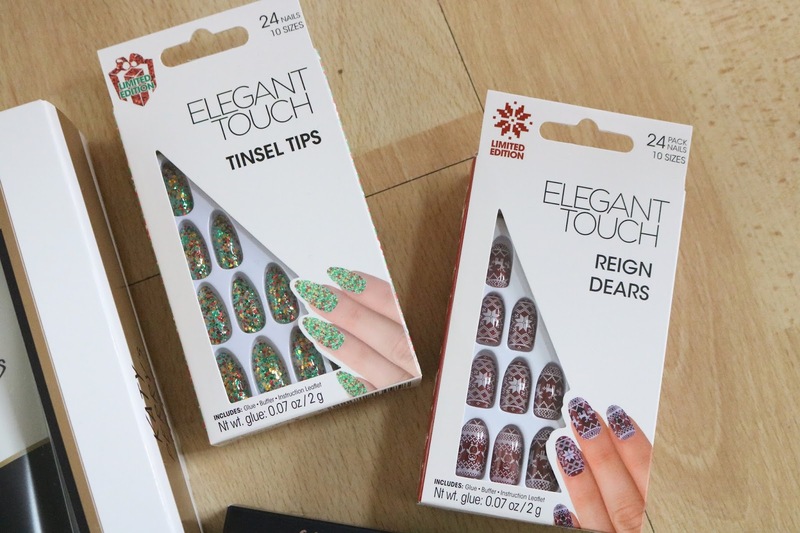 For the glitter lovers, the Tinsel Tips nails wouldn't look out of place at a Christmas party with red, gold and green sequins, while the Reign Dear nails would pair perfectly with your novelty jumper on Christmas Day with a crimson base and fair isle print. Partnered with their nail guards, you can get awesome nails in no time, without having to worry about glue damage. A perfume set is go-to if you're really stuck for ideas but know they have a favourite perfume or that they enjoy trying out new scents. With so many perfumes out there it can be quite difficult to choose one to invest in. However, the gift sets that are brought out for Christmas are the best way for someone to try a new scent, like this Katy Perry Indi set. Featuring the EDP, shower gel and body lotion, this scent is definitely one for those who love a musky scent - it does have 11 different ones blended in it after all! It can easily be worn throughout the day and well into the evening and the packaging is super sleek. If you're looking at getting someone a stand-alone perfume as a gift, why not check out this post for some of the scents I'm raving about. 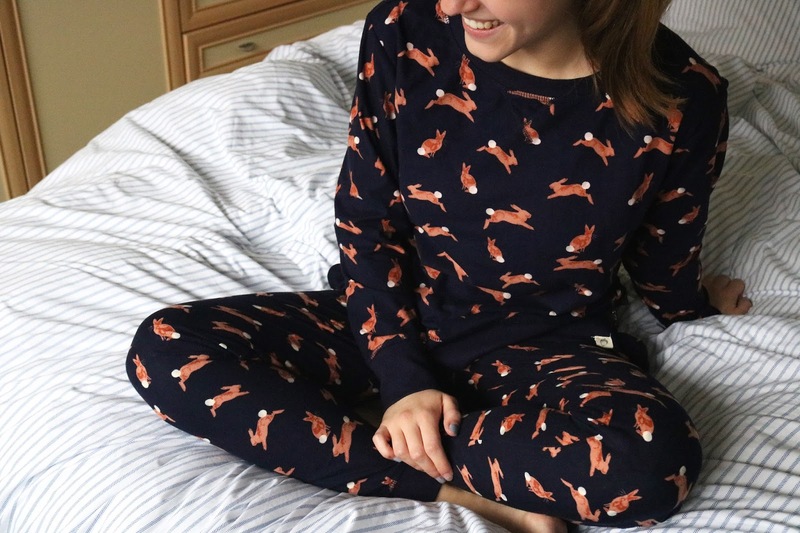 I'm a sucker for anything warm and cosy, and these rabbit PJ's from Next would be perfect for anyone who feels the same! These ones are so soft and fit really well, and keep you warm when you're sitting on the sofa binging on Christmas films and Lindt chocolate reindeers. One of the things that make these pyjamas special are the little details such as the gold bows at the side of the top and the extra long cuffs so there's no chance of your sleeves rolling up in the night and making you cold. Unfortunately, these are currently out of stock, but they have loads of prints in this style still available! It's giveaway time! 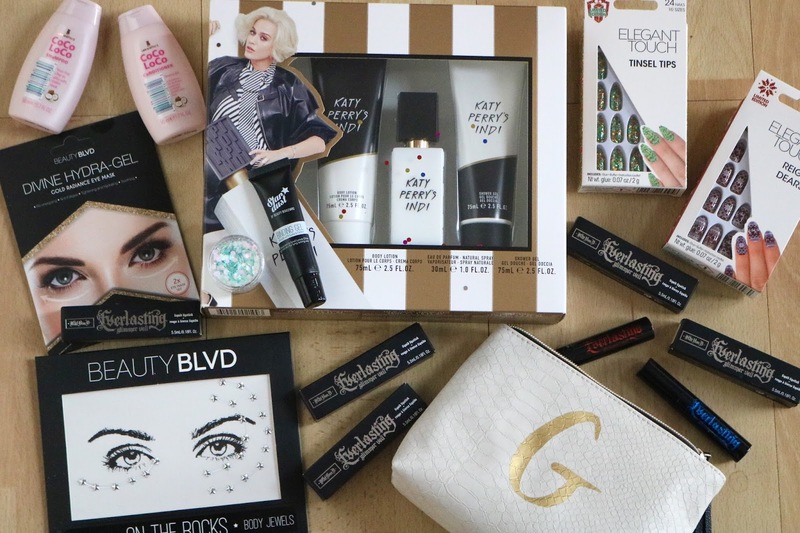 I've teamed up with Beauty Blvd to give away their products featured in this gift guide! Enter the rafflecopter below for your chance to win the On The Rocks face gems (15), Stardust glitter (Pegasus) and Divine Hydra-Gel Eye Mask! Which gift idea was your favourite? Let me know if you have any other ideas for what to get your friends and sisters for Christmas. Thank you to all the brands who kindly sent gifts to be featured! I love good cozy nightwear. That might be especially true right now as I am very tired. It's definitely an essential this time of year! I love Kat Von D stuff and those jammies are just so cute! Month of December pretty holy and more beautiful for person celebrating the Christmas and looking magnificent and pretty is all everyone wants, so availing makeup kits and cosmetic gifts for men and women is quite a nice idea. Attending Christmas event and looking classy is certain a good dream.